Summer is around the corner, and while anytime is a good time for a house party, the warm weather certainly seems to be the most popular time of year to host. After all, it stays lighter for longer, and the warm evenings mean that more time is spent outside. House parties are great, but is yours the best it can be? One of the big factors of any successful house party is the music, and you have to have good music if you want your guests to enjoy the atmosphere and general celebration. As a result, you should make sure that you invest in a good sound system that will play all the music you love. Portable speakers are a better option than you might think, and just because they are a little smaller doesn’t mean that the quality is any less. In fact, they often turn out better. Of course, the process of picking one if not the easiest, but that’s where we come in to give you a hand with things. In order to help you find the best party speakers, we have put this guide together, compiling all of the relevant party speaker reviews in one place, allowing you to find one that will really bring your party to life. 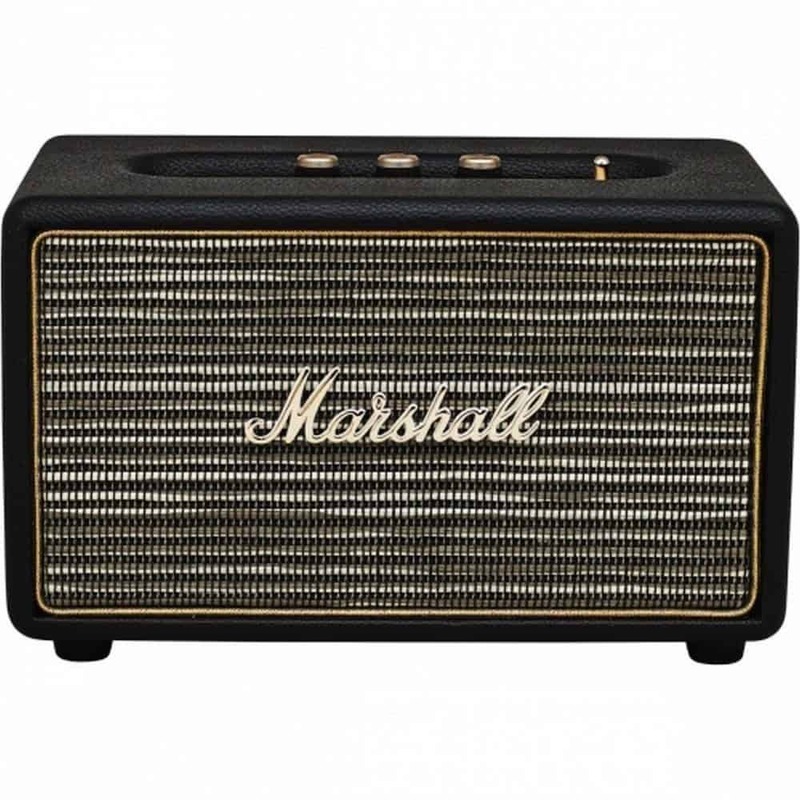 Marshall is a big name with a lot to offer, and if you are searching for the best house party speakers, then these could be the ones you want. After all, they have everything you need on top of being sturdy and reliable. Take a moment to read the reviews below and see what you think of them. 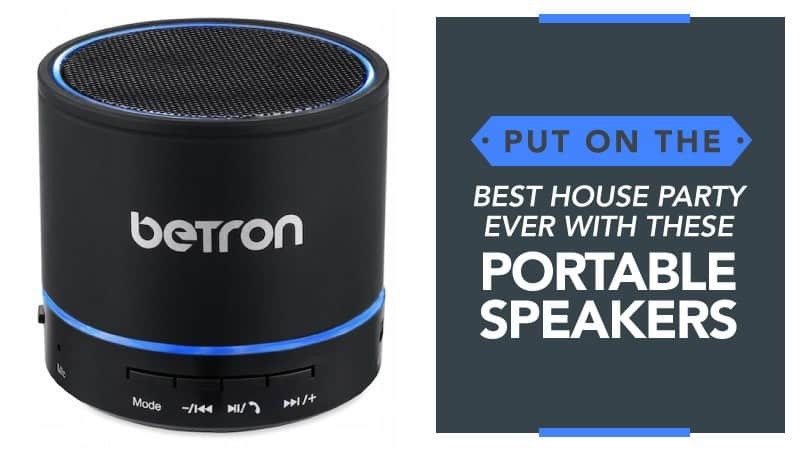 This portable speaker has a really fashionable retro design that is sure to blend in perfectly with your home and receive a lot of compliments. While this model is black, there is also the option to purchase it in white if you prefer. The bass is incredible and deep, vibrating through the room for the ultimate party experience, and the overall sound quality is just the same in terms of brilliance. There are three analogue interaction knobs, allowing you to fine tune it so that it sounds just the way you want it to. The Bluetooth connectivity option means that you can also stream music straight from your phone or smart device, enhancing your party and allowing for a wider range of songs. Plus, it is surprisingly lightweight and has a very compact design with a robust frame. Some customers feel that the power cable is a little short and would have liked a longer one. This portable speaker comes at a very reasonable price, and is the perfect size for any house party. Plus, it provides great quality sound that will leave the whole house moving to the beat throughout the night. While the power cable is a little short, an extension lead is the best way to improve the reach so that you can have a little more flexibility with moving it around. Easy to use and with minimal hassle, it really does make for a top quality model that everyone will love. SONOS is one of the biggest names out there, and the one most tend to think of first when it comes to intelligent speaker systems for the home. So, if you haven’t quite found the best house party speakers yet, you might want to spend some time reading the reviews for this one below. This speaker comes in both black and white, giving you the choice to find the one that suits your home best. There is also the option to purchase it with a range of excellent accessories, as well as sets so that you can create your own eco-system for parties. It provides rich and clear sound despite its small size, and is sure to leave you with an immensely pleasurable listening experience at parties. It can connect up to Amazon’s Alexa as well, giving you a more advanced form of control when it comes to playlists and general music playing. Additionally, the app on your phone allows for tuning and full control so that you can tailor the sound to suit you. It can be mounted to the wall with the use of accessories, and offers you a very simple and easy experience when it comes to general use. 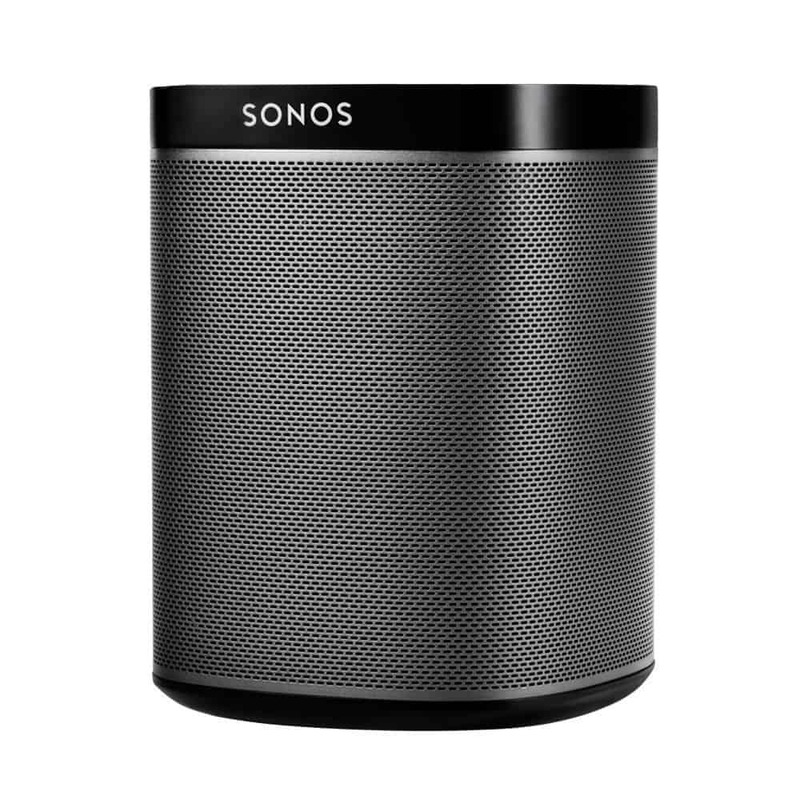 The SONOS speakers can only be connected to other SONOS devices or the app (which streams your music), which can make its accessibility limited. This speaker comes at a fantastic price and is one of the best around, which makes it ideal for those who want to throw truly spectacular house parties. While the accessibility can be a little limited, the fact that it only connects to SONOS compatible items doesn’t detract from the overall quality or the fact that you can stream music to it from your phone using the app. It is simple to use, set up, and listen to, making it a calm and hassle-free way to enjoy the music that you love – and with the people closest to you. 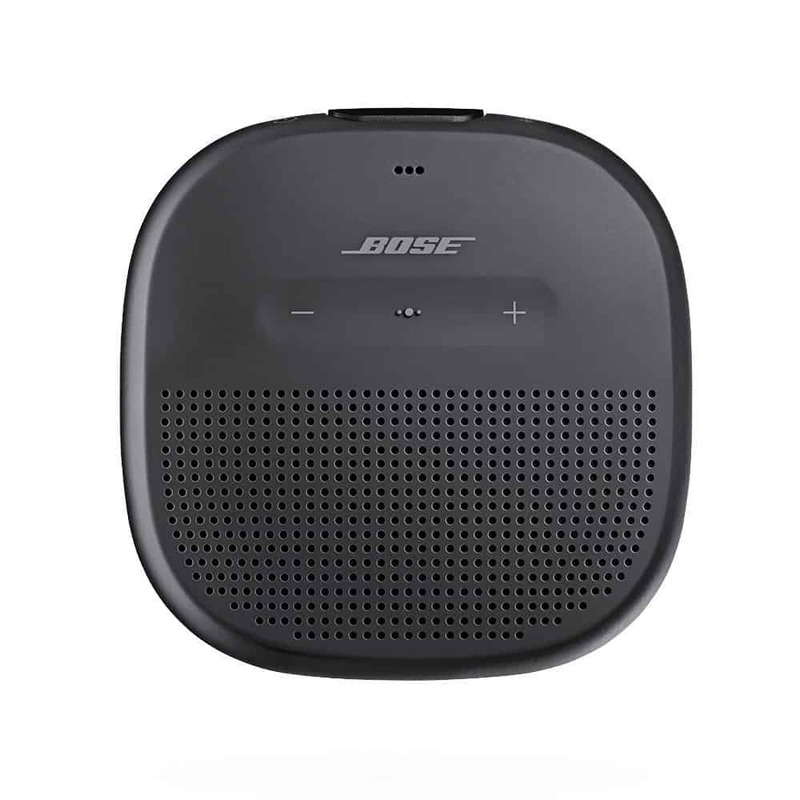 Bose is another brilliant brand, and if you are in need of a good speaker but are on a budget, then this could provide you with everything you need to get started. Reliable and ready to go, this magnificent little speaker is ready to help you out. Just take a look below and see for yourself. This portable speaker comes in black, but there are two other great colours for you to choose from – allowing you to find something that perfectly matches your style and tastes. It is completely waterproof (inside and out), so you can move it outside during those summer celebrations. The sound is crisp and balanced, with a bass that is unmatched for the size of the speaker. There is even a strap with it that is tear-resistant, so you can carry it between parties for those who want to use your speaker in their homes. It also features wireless Bluetooth pairing so that you can connect your phone and other smart devices for easy streaming at all times. The battery offers six hours of constant playtime, and it can even be connected to Siri and Google Assistant. Some customers have found that the sound can become a little distorted close to full volume. This speaker comes at a great and affordable price, making it the perfect pick for those who don’t want to spend over £100 on a speaker but still want excellent quality. While the sound can become slightly distorted at full volume, this is not uncommon for a speaker this size and the overall sound quality is excellent and sure to provide you with hours of entertainment. Plus, it is incredibly portable and comes from a brand that is known for its reliability and excellence. 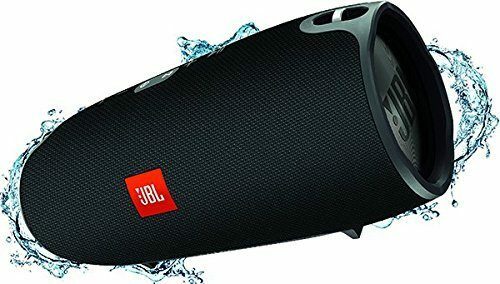 This great little speaker comes from top brand JBL, and there is the option to choose from several different colours, so you don’t have to stick with a classic black. It features wireless Bluetooth streaming, connecting up to three devices at once and able to switch between them seamlessly for the ultimate music experience. The battery can be recharged and offers up to 15 hours of listening time, which is more than enough for getting the party started (and finished). Despite its size, it produces powerful sound and can be combined with other models to make your own little system. 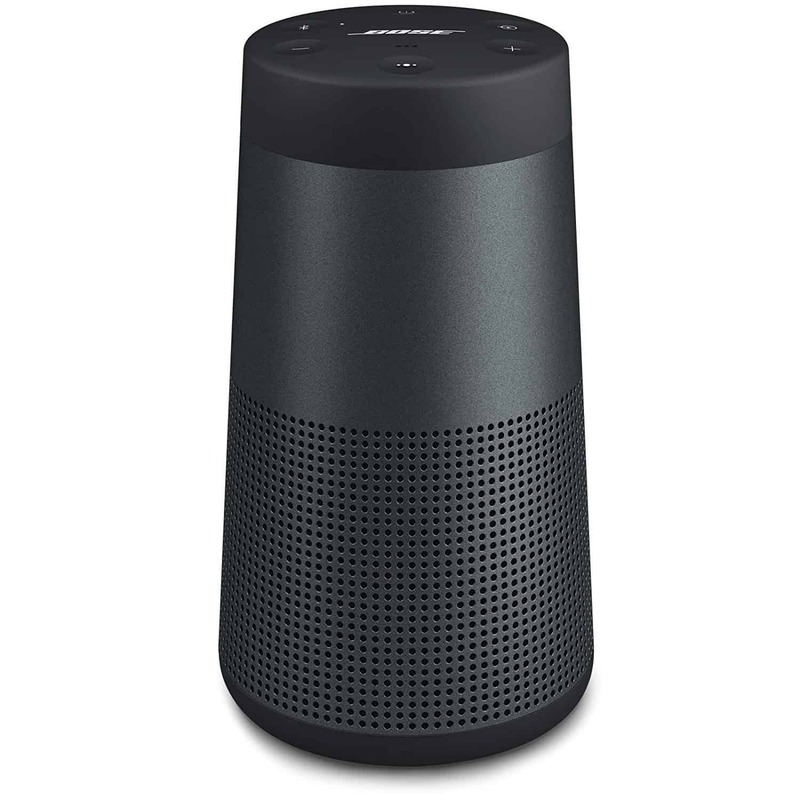 Bose is another big name, and this particular party speaker comes in a really cool and stylish cone design – bringing a little something extra to your home when hosting parties. Plus, it comes in both black and white so that you can pick the one that matches your home best. It has true 360-degree coverage, with resonating sound that will bring your party to life. The battery is rechargeable and will leave you with 12 solid hours of partying, with a pretty quick charge period. The wireless pairing also allows voice prompts from things like Siri and Cortana. You can even pair it up with another model for stereo or party mode playback. Hopefully, this guide has helped you to find the best party speakers, and that the party speaker reviews have ensured that you were able to find a model that best suits your needs, style, and the kind of party that you are planning on hosting. To make sure that you have the best possible party, we have spent time carefully selecting a range of speakers from trusted and reputable brands so that you are able to not only pick a name you trust, but also a speaker that you feel is going to be a good match for you. Quality is everything, and that is why we are always so careful when it comes to picking the products we list. After all, you want a set of speakers that are going to last you a few years. What did you think of our party speakers guide? Are there any that you would have liked to see or recommended? We love hearing from you, so make sure to leave us a message in the comments below.